Business After Hours events offer members and prospective members alike the chance to meet colleagues representing products and services in an engaging, unique atmosphere. 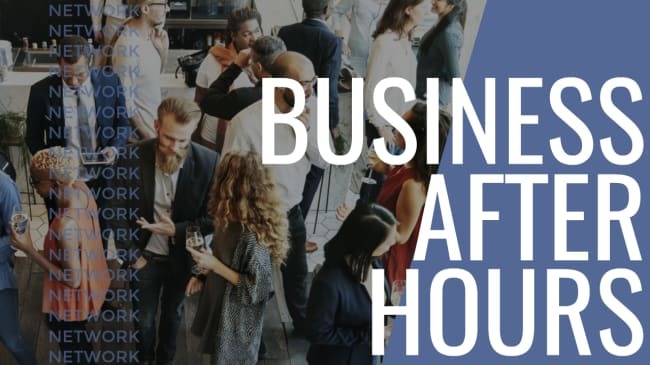 Each BAH host or co-sponsor present to their guests an opportunity to converse with hundreds of business community members in a manner befitting what they themselves have to offer as a company, making each and every monthly event distinctive. Thoughtfully detailed venues, inspired fare, delicious drinks, non-profit donation opportunities, door prizes, and of course contacts galore await you! Cost: Free to members; guests welcome!